If Shanghai is the only city in China that you will visit, then you should definitely take the time to visit the Jade Buddha Temple. Otherwise, you can skip it and spend some more time on other attractions during the Day 1. Jade Buddha Temple can be quite crowded, so do your best to see it in the morning and peacefully take glimpse into Buddhism religion and architecture of the Shanghai and China. From Jade Buddha Temple to Nanjing Road there is around 4 km of distance, so it is recommended to use the metro or take a taxi to the People’s Square. 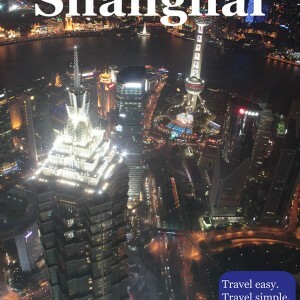 From there, walk down the Nanjing East Road to the Bund, which is about 2 km (1.2m). At the eastern end of Nanjing East Road, you will come across The Bund, attractive waterfront walkway. You should enjoy Pudong walking tour during the night, when the sparks of thousands of lights and reflectors appear, you will feel like you are floating through the wonder galaxy full of stars of different colors. However, even during the day, this walking tour is interesting. If you do it during the day, make sure to go at least to the Shanghai World Financial Center observation desk when it gets dark, because then the view is definitely the most beautiful. Young people who present events such as “Traditional tea ceremony” or “Art Gallery” are typical scammers and should be avoided, in order not to spend extra money with no need. See more info here.